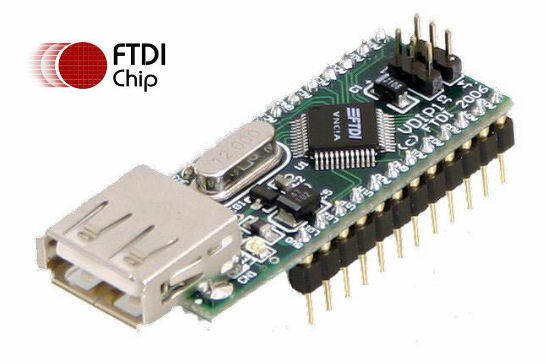 VDIP1 USB module is base on VNC1L from FTDI Chip. 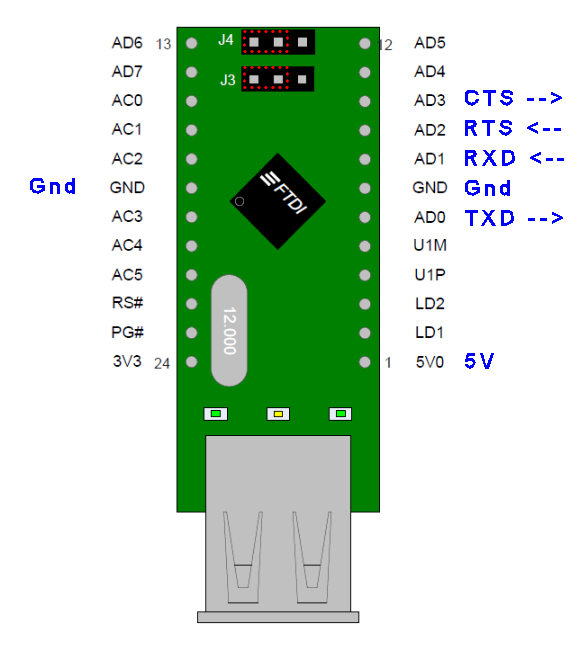 Set jumper to UART (J3=J4= 2+3), as shown by the Red dotted rectangular box in the picture. 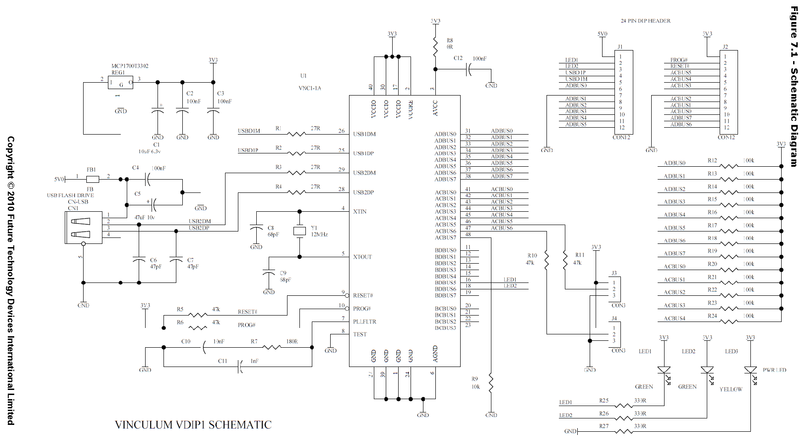 VDIP1 schematic taken from the datasheet. Download test script for VDIP1 module using docklight. 3) When ascii command DIR<CR> is issued. 2) Switch to short command mode.